With Halloween just a few weeks away, here are some great activities and parties to celebrate! Fairy Tale Frightfest is a family-friendly Halloween celebration at Billings Estate National Historic Site on Sunday October 21st from 10am to 4pm. Get in the Halloween spirit with the City of Ottawa and the Barrhaven Minto Recreation Complex on October 26th from 5 to 7pm! At this haunting event there’ll be crafts, games, candy, an open gym and more! Ghosts, goblins, and children alike are welcome. Admission is free! Halloween pARTy at Shenkman Arts Centre October 27th 2017 starting at noon. Crafts, Face Painting, Photo Booth, Storytelling, Costume Parade, Bake Sale, and more! The theme this year is inspired by Hansel and Gretel’s story tale! Come Costumed! Entrance is FREE but donations are accepted for the Ottawa School of Art. Trick or Treat with the Mayor on Saturday October 27th from 4 to 7pm. It’s a Barnyard Halloween at the Canada Agriculture and Food Museum on October 27th & 28th from 9:30am to 4pm! 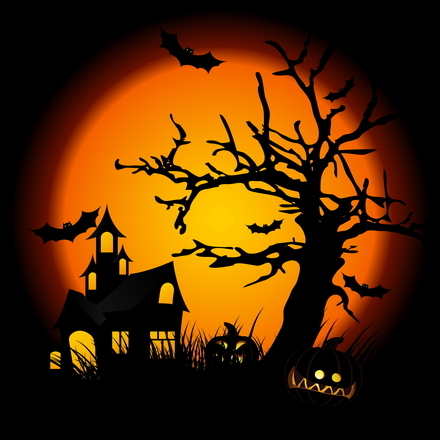 Make some ghoulish treats, create a creepy craft, learn all about bats, visit a spooky barn and take part in Halloween games. Costumed visitors young and old alike can join the costume parade. Children will also be able to decorate a pumpkin to bring home. Meet, Greet and Trick or Treat at Carlingwood Shopping Centre on Saturday October 27th from 10am to 2pm. Come in costume and collect candy from your favourite superheroes, TV characters, princesses and more! A Gym Tale’s 4th annual Halloween Party! will be on Saturday October 27th from 10am to 12pm at A Gym Tale. Show off your costume and join us for a spook-tacular event with all your favourite characters! This special event includes: Apple Bobbing, Spooky Craft, Play time on our Pirate Ship & Castle Indoor Playground, Obstacle Course & Games led by our Party Champions, Pizza slice & Juice, Trick-or-Treat bag. Greenboro Community Centre is hosting a truly Spooktacular Halloween Party sure to delight and frighten. Survive the Haunted Hospital and much more Halloween fun! This event runs from 1 to 3 pm for 3 to 7 year olds, and 4 to 6 pm for 8 to 14 year olds. Entry is $8.75 at the door and $5.75 if you pre-register. Wickedly Westboro is a free family Halloween event along Richmond Road on Saturday October 27th from 3pm to 9pm. Kids can pick up their official Westboro Village trick-or-treat back pack at Winston Square, play the Marble Mansion for prizes, then walk down Richmond – trick or treating at various participating businesses. Dovercourt’s Bouncy Castle will be at Avenues Garage, then everyone can close the event with a movie under the stars presented by Capital Pop-Up Cinema – Beetlejuice. Halloween Hijinks at the Cumberland Heritage Village Museum on Sunday October 28th from 10am to 4pm. Celebrate Halloween and collect a few treats along the way. Pumpkin Party! at the Nepean Museum on Saturday October 28th from 10am to 4pm. The museum is definitely the place to be for Halloween fun with a costume parade, face painting, and pumpkin decorating. Halloween at Hunt Club-Riverside Park Community Centre on Sunday October 28th from 12pm to 3pm. Participate in Halloween themed games, a spooky haunted house, face painting, a costume parade, cookie decorating and treats with all your favourite Hunt Club Riverside staff at this special Halloween event! Monkey Rock Music Halloween Party and Fundraiser in Gatineau Sunday October 28th from 2:30pm to 4:30pm. The party will feature games, dancing, costumes and of course ROCK AND ROLL.